This is the argument white evangelicals made in deciding to back President Donald Trump. We’re under siege. He’ll fight for us. And this is the argument many of the Democratic campaigns are already making. Republicans are irredeemable. Racism is ubiquitous. Capitalist greed is ubiquitous. We need someone who can match Trump blow for blow — the indignation of Bernie Sanders; the confrontational, prosecutorial style of Kamala Harris. 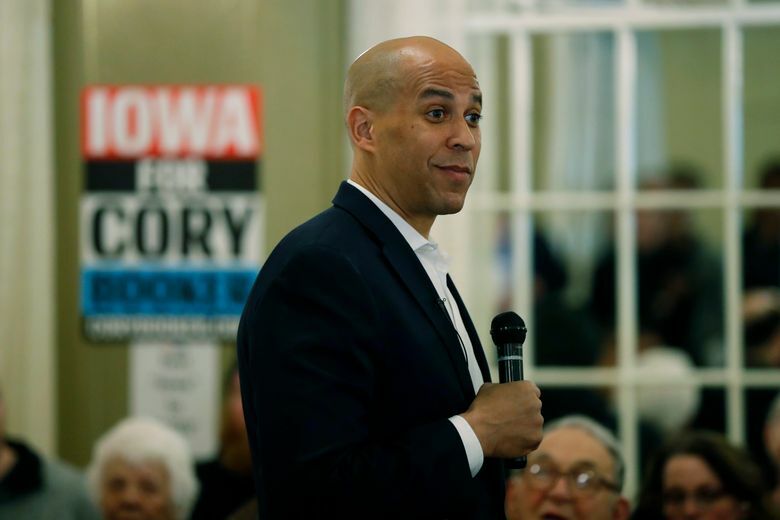 “Patriotism is love of country, and you cannot love your country unless you love your fellow countrymen and women,” he told an Iowa audience in February. Republican or Democrat — we are brothers and sisters under the skin. The knife-fight view is correct if you believe that war is our permanent state — if you believe that our evolutionary roots sentence us to inevitable tribal conflict and the only choice is conquer or be conquered. I write this to you from Nebraska City, Nebraska, just over the Iowa line. I just had lunch with 15 locals, many probably Trump supporters and some probably not. But it didn’t come up. The idea that any of these good people are “downright evil” because of some political affiliation is ridiculous and a sign of how deranged our discourse has become.